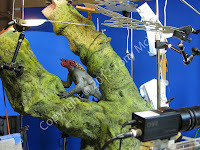 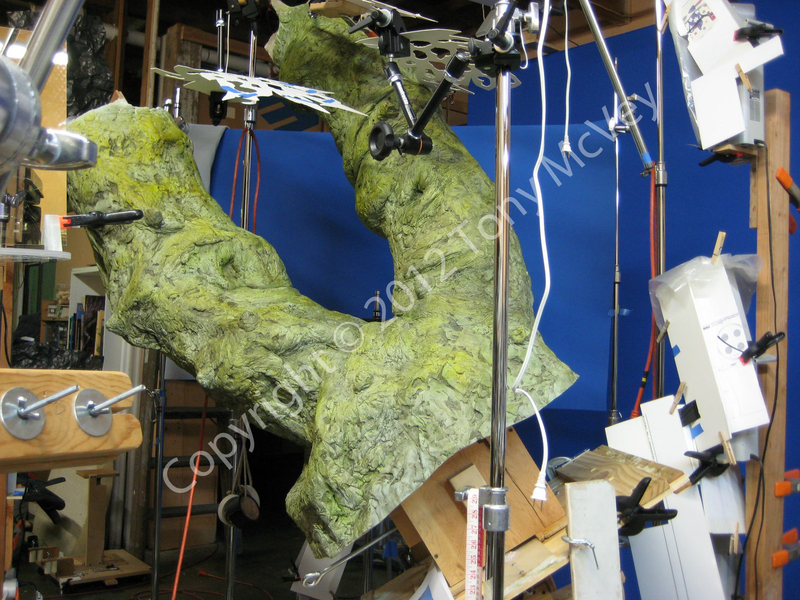 Here's a selection of photos showing set-ups and lighting in the shots where FE discovers the Redhead in the tree-tops. 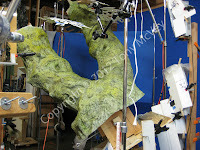 The tree crotch is hollow and is comprised of a resin skin applied over a cardboard and paper substructure. 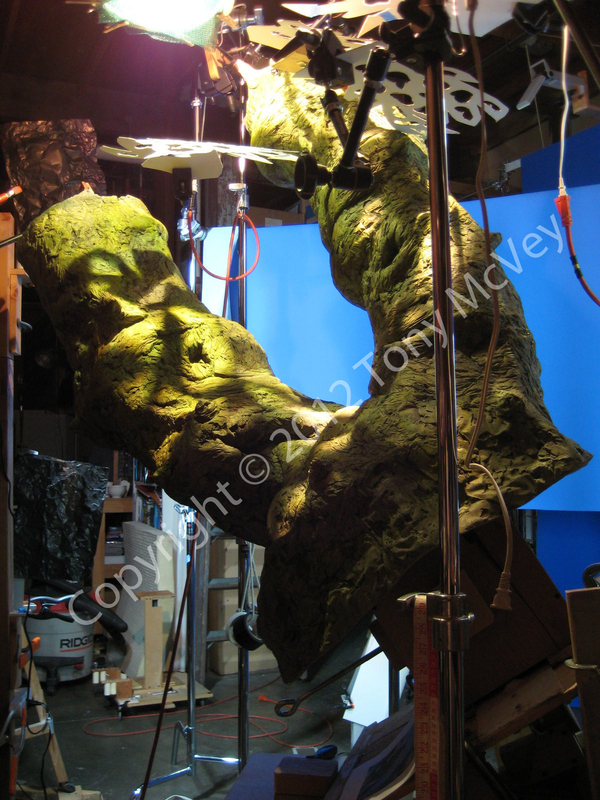 Despite my efforts at keeping it light-weight, at roughly 4.5 feet tall by 3.5 feet wide, it was bulky and awkward to handle and to stabilize for filming. I've since devised a more manageable alternative for shots like this. 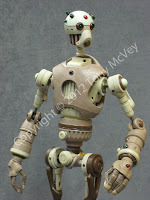 Jack Pure-Folly. 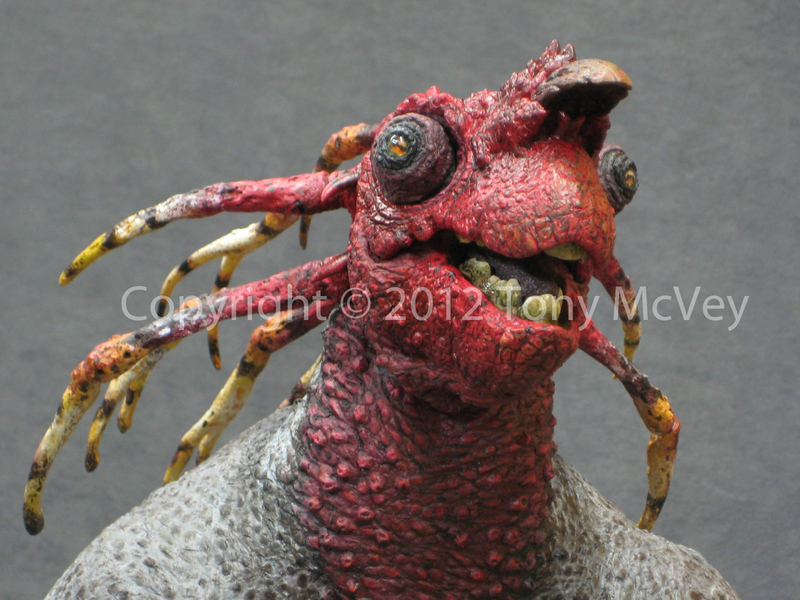 I wanted this character to be large enough to allow for some intricate surface detail and to be able to sustain a convincing close-up. 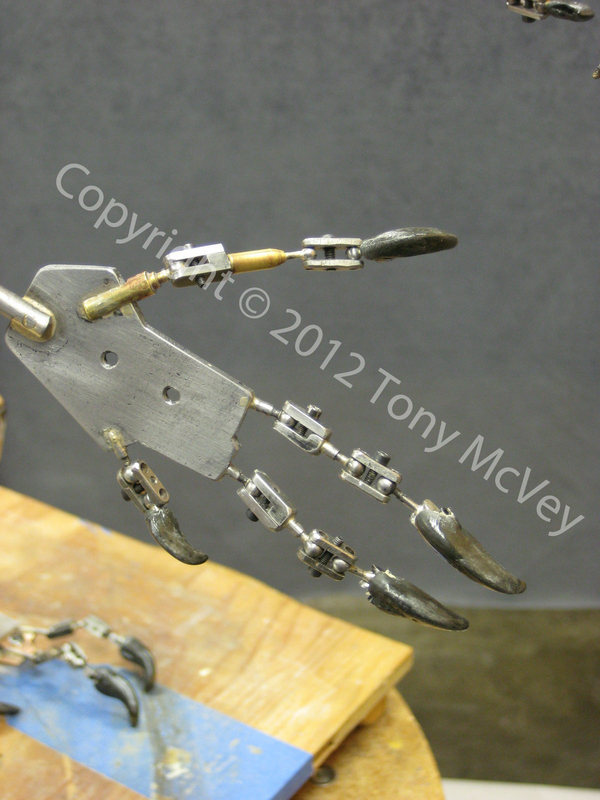 I also wanted to use ball-joints instead of wire for his fingers because I didn't want to deal with replacing broken finger wires in the middle of a shot. 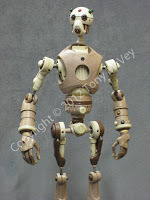 These requirements resulted in my building a 17" tall puppet. 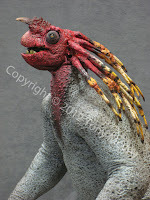 The Redhead, the subject of Jack and FEs field study. A colony of these elephant-sized creatures lives in the tops of the trees, which are actually colossal succulents with huge liquid-filled leaves and soft spongy bark. 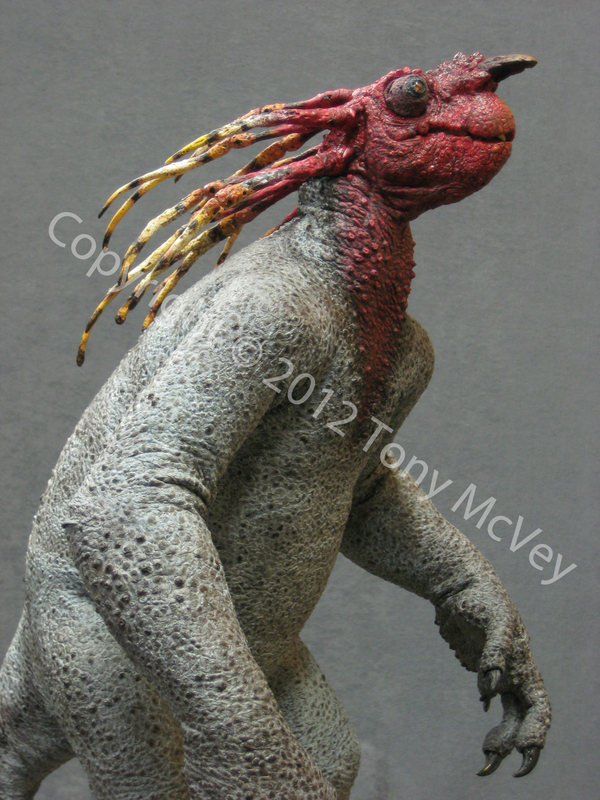 This 18" tall model has a cast resin head and a foam latex body, built up directly over the armature and covered with a latex skin. 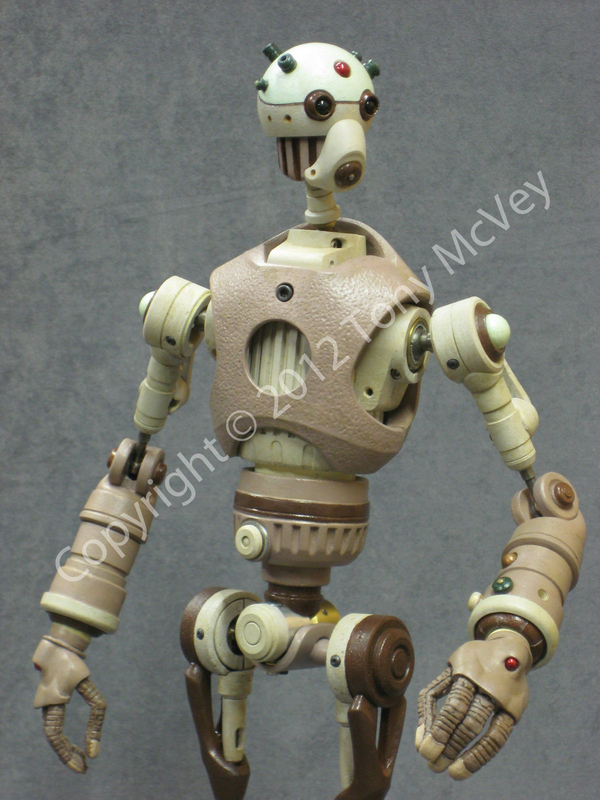 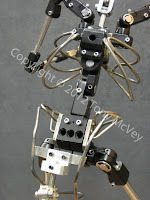 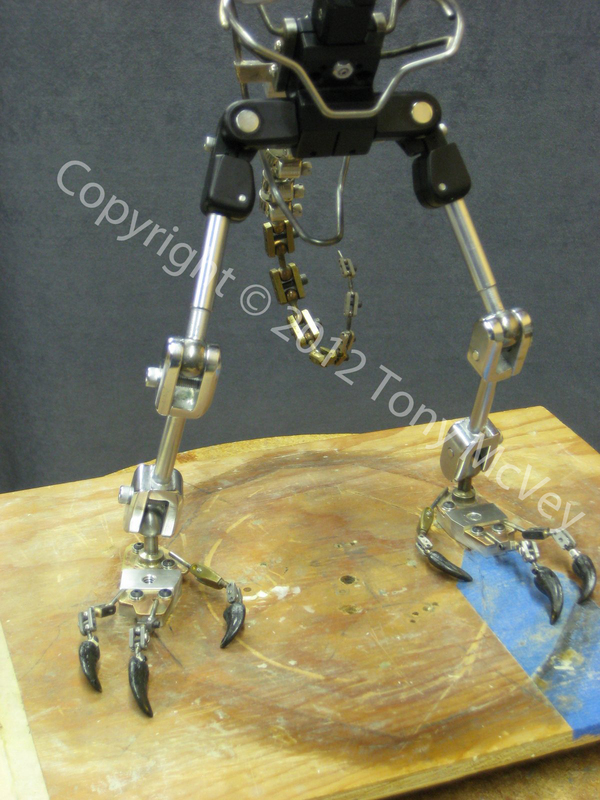 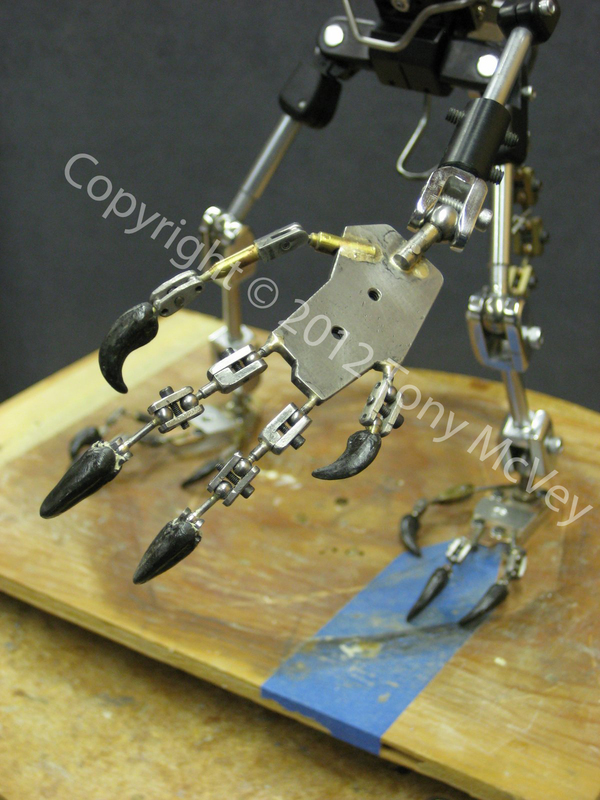 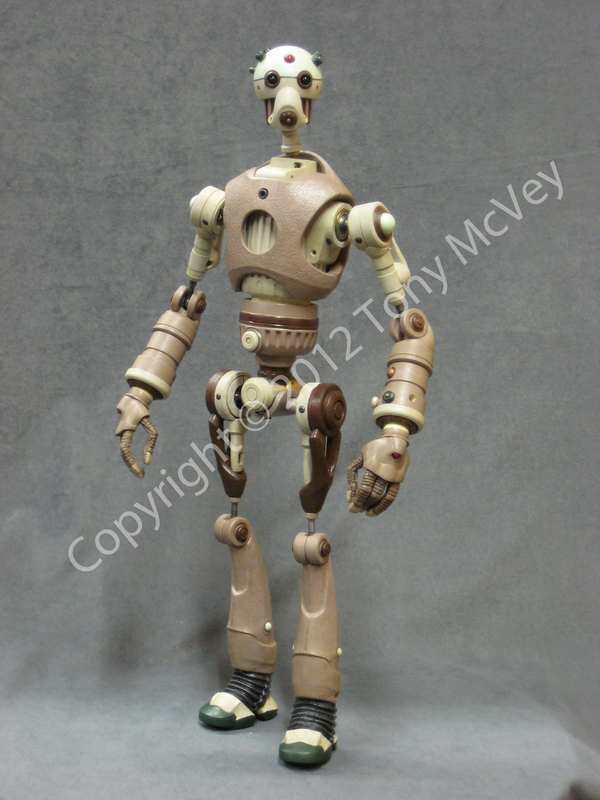 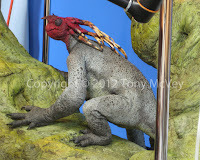 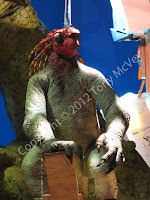 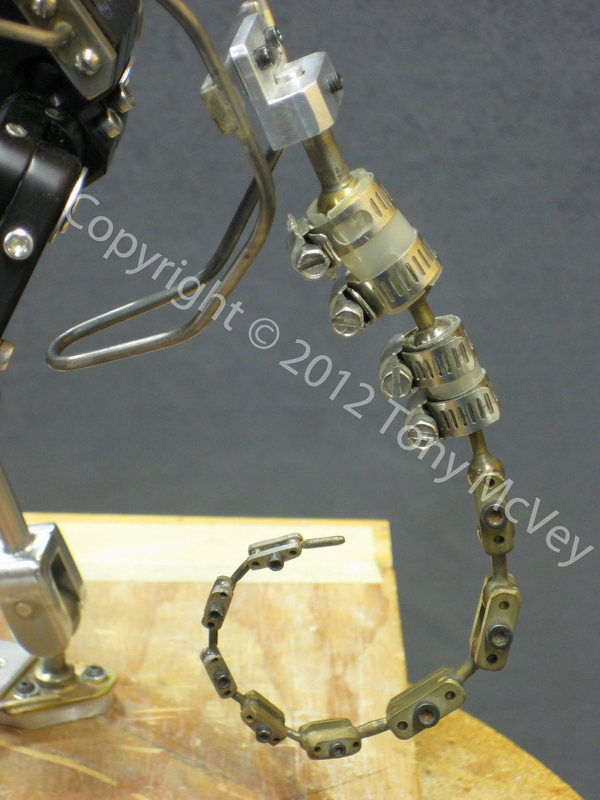 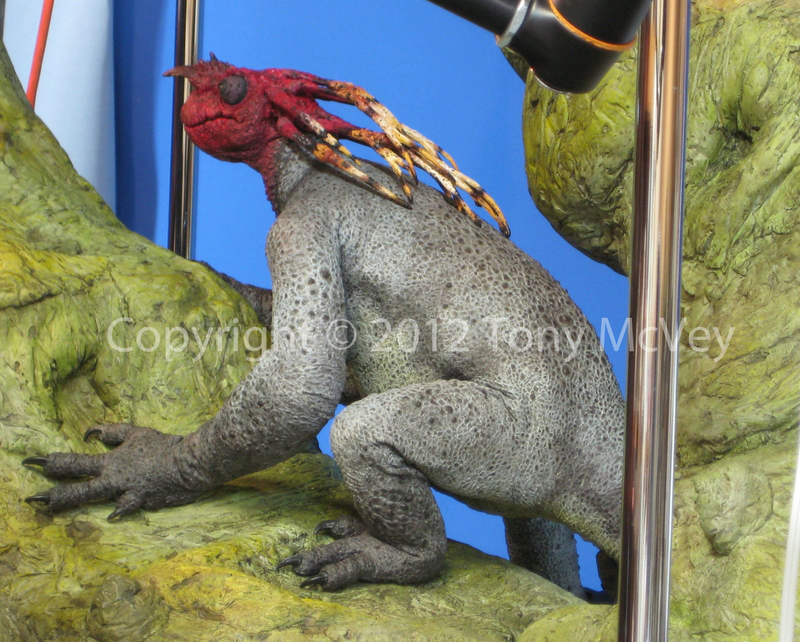 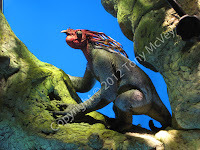 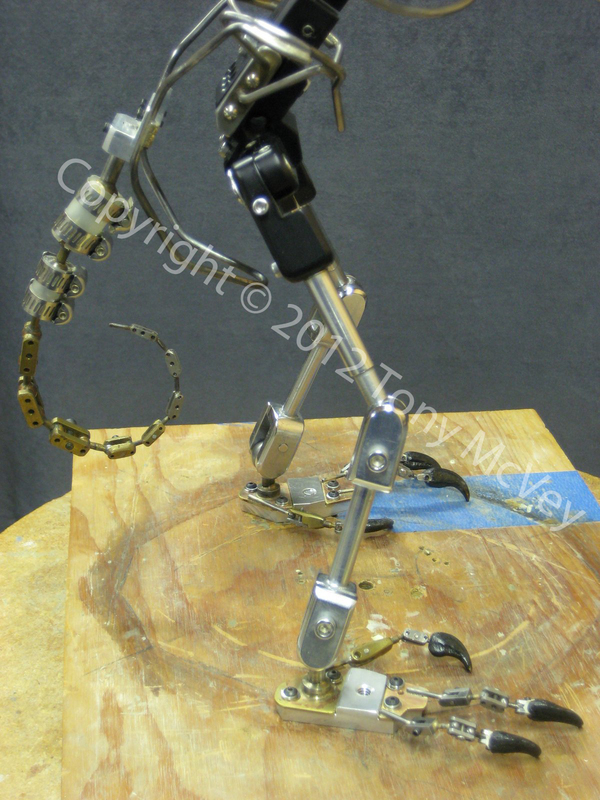 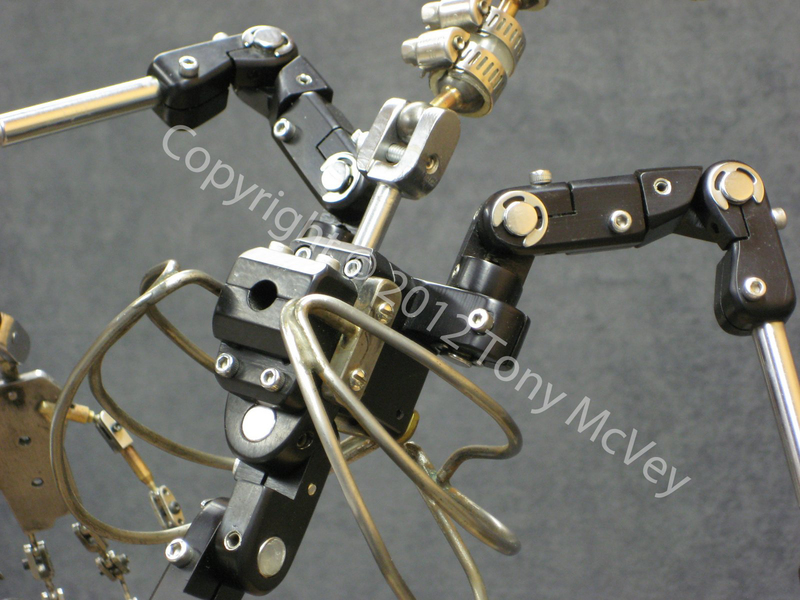 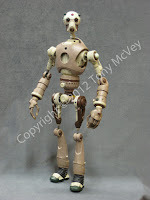 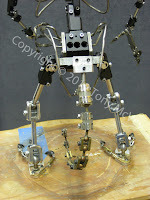 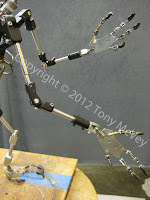 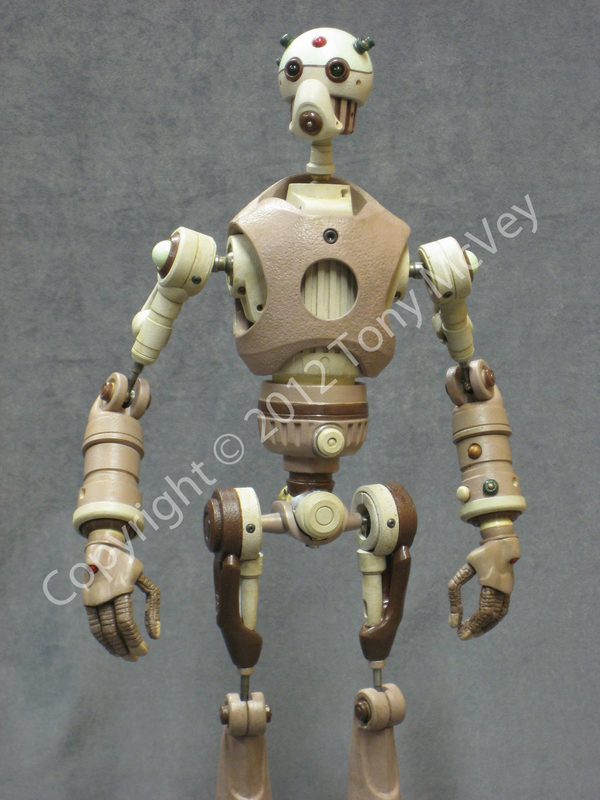 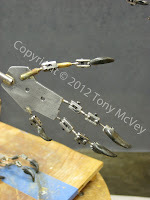 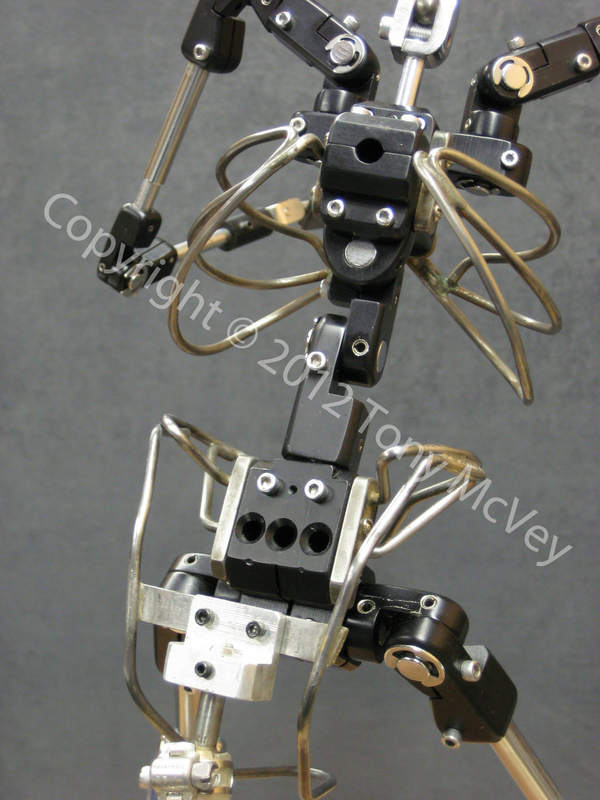 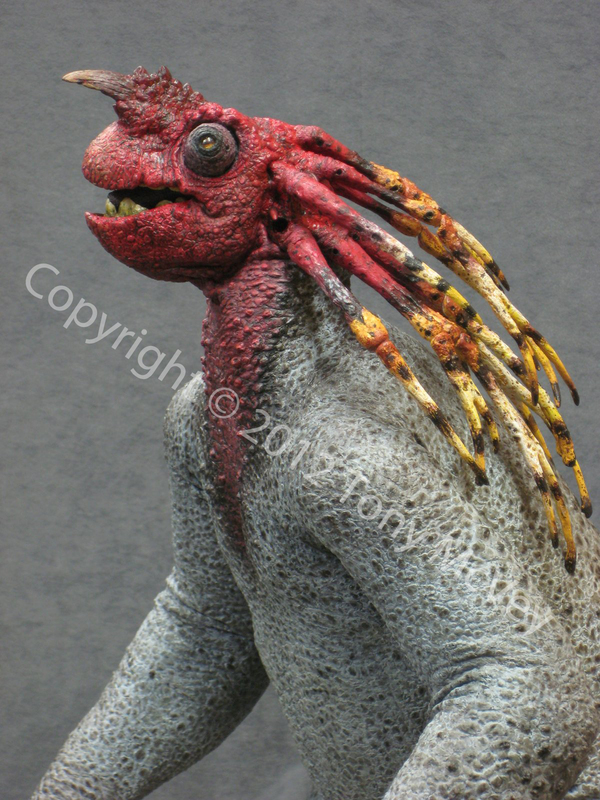 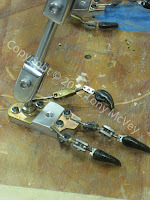 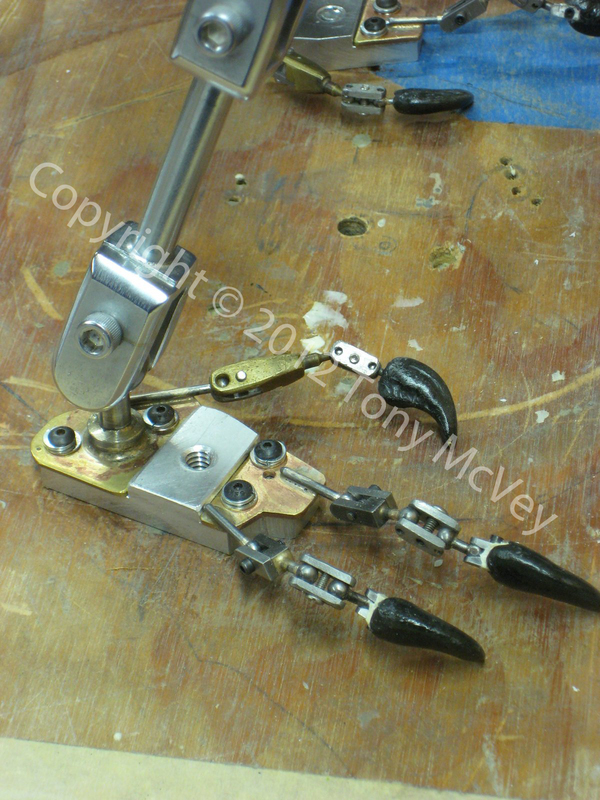 Lionel Orozco's Kong armature provided a basis for the Redhead model. 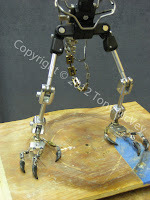 To save time, I decided to reconfigure Lionel's beautiful ape skeleton. 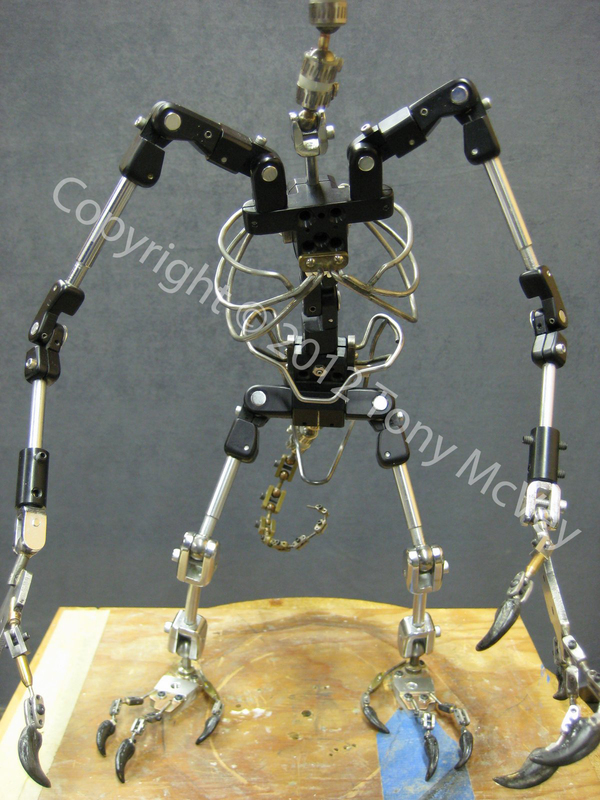 I removed the hands, feet and skull and replaced them with newly made, suitably alien parts, made a new hip girdle in the style of my earlier ribcage for Kong and added a tail and a tie-down point in the upper back. The hands and feet have tie-down holes too, but I figured it might be useful to add another larger one in the back to allow the option of attaching a Manfrotto camera arm for use as a heavy-duty support rig. One of the best puppets I've seen since some of Danforth's work on WDRTE. 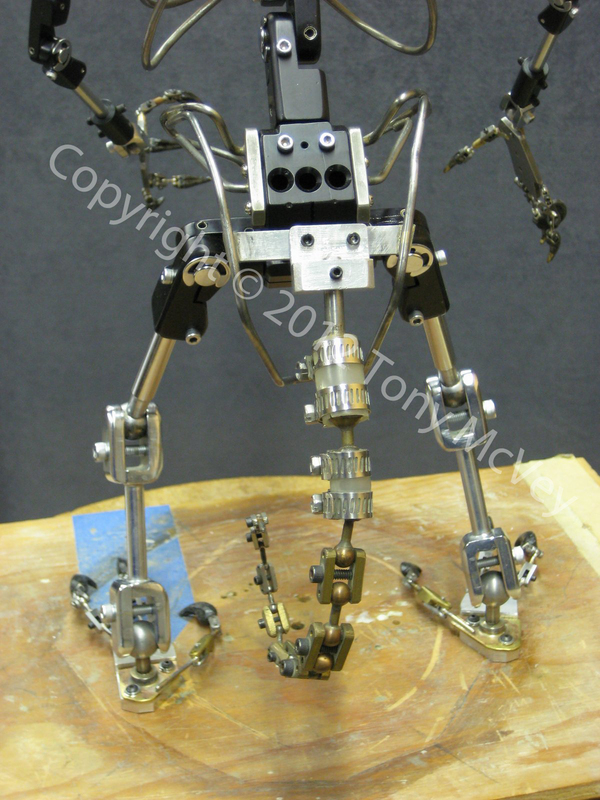 Fine work sir.